Irritable bowel syndrome (IBS) is a chronic intestinal disorder that causes abdominal pain, cramping, gas, and bloating, in addition to bouts of diarrhea or constipation. IBS does not cause inflammation or permanent harm, nor does it progress to more serious conditions. Past names for this disorder include colitis, mucous colitis, spastic colon, spastic bowel, and functional bowel disease. The exact cause of IBS is not known. There may be several causes, and IBS may itself be a collection of different conditions, each having a different cause. IBS is placed in a class of diseases known as "functional disorders," a term that means no structural, biochemical, or infectious cause has yet been found. IBS is a common condition affecting 10%-20% of American adults. What are the risk factors for irritable bowel syndrome?What are the symptoms of irritable bowel syndrome?How is irritable bowel syndrome diagnosed?What are the treatments for irritable bowel syndrome?Are there screening tests for irritable bowel syndrome?How can I reduce my risk of irritable bowel syndrome?What questions should I ask my doctor?What is it like to live with irritable bowel syndrome?Where can I get more information about irritable bowel syndrome? Fauci AS, Braunwald E, et al. Harrison's Principles of Internal Medicine. 4th ed. New York, NY: The McGraw-Hill Companies; 2000. IBS. American Gastroenterological Association website. Available at: http://www.gastro.org/patient-care/conditions-diseases/irritable-bowel-syndrome. Accessed May 25, 2017. 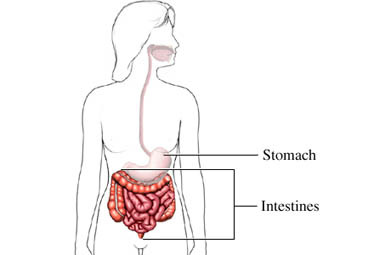 Irritable bowel syndrome (IBS). EBSCO DynaMed Plus website. Available at: http://www.dynamed.com/topics/dmp~AN~T113627/Irritable-bowel-syndrome-IBS. Updated March 17, 2017. Accessed May 25, 2017. 4/22/2011 DynaMed Plus Systematic Literature Surveillance http://www.dynamed.com/topics/dmp~AN~T113627/Irritable-bowel-syndrome-IBS: Johannesson E, Simrén M, Strid H, Bajor A, Sadik R. Physical activity improves symptoms in irritable bowel syndrome: a randomized controlled trial. Am J Gastroenterol. 2011;106(5):915-922.